2) I am a consultant and sometimes people google me and I want them to think of me as a professional and not the writer of one of those food blogs with recipes and personal stories. Of course, I love food blogs with recipes and personal stories so how could I write any other kind of blog? Aha No. 1: My daughter is a great photographer. 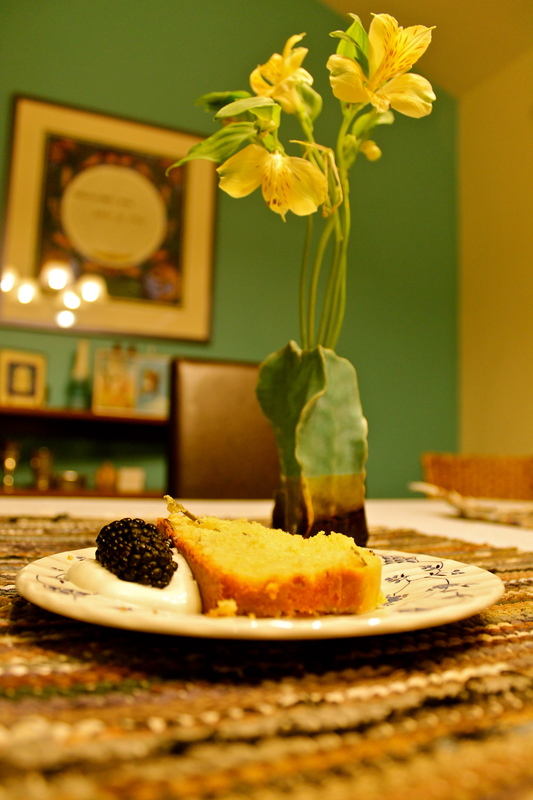 . . and she agreed to join me in this blog adventure by photographing and even styling the food. Aha No. 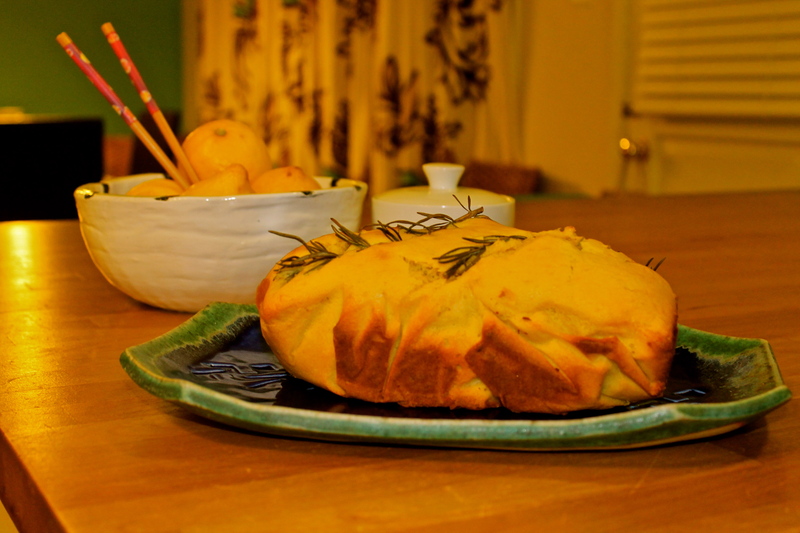 2: A colleague gave me her recipe for Rosemary Lemon Olive Oil cake. Actually this wasn’t just an aha moment; as I dithered about my professional versus my domestic self, everything seemed to fall into place when someone I knew through work shared a recipe whose ingredients synthesize so many aspects of my cooking/baking life. You see, having lived in Israel for many years, I—like the great Yotam Ottolenghi—often begin cooking with olive oil, lemon and aromatic herbs and spices. Usually those ingredients are for a savory dish. The “aha” really came through with Rosemary Lemon Olive Oil cake which represents me: I began as a baker who cooked meals so that I could earn the right to bake dessert. In fact, way back when, a dear friend dubbed me the Dessert Queen. These days, I’m more of a cook than a baker (and will often share recipes for quick, healthy dinners that I make as a working mom) but baking remains my passion. And so, I’ll confess, it might have been even more than an aha moment—if I were a little more spiritual, I’d call it a sign when I was given a recipe that told my cooking/baking journey by using a cook’s ingredients for a savory dish in a sweet dessert. This insight allowed me to let go of my inhibitions and realize that most of my colleagues know that I love to cook, bake, and eat great food. In that spirit, I am starting off my blog with . . . 2 cakes. That’s right, I’m not just giving you the recipe for Rosemary Lemon Olive Oil cake; I’m also giving you the recipe for the cake it reminded me of—my mother’s Komice bread, a Hungarian tea cake that my mother made often and included in her cookbook, By Special Request . Preheat oven to 350. Beat eggs for about a minute until frothy. Add sugar and beat for a few minutes more until mixture is thick and pale. Add lemon zest, juice and olive oil and beat again. Combine flour, baking powder, rosemary and salt in another bowl, then add to egg mixture. Stir by hand until just combined. Pour into prepared loaf pan (sprayed or lined with parchment). Lay decorative rosemary on top. Bake for 45 minutes, until golden. Line loaf pan with parchment paper. Preheat oven to 350. Beat eggs until fluffy and gradually add sugar. Beat well until batter falls in ribbons. Add lemon juice and zest. Gradually add flour stirring slowly; beat batter for another 4-5 minutes until very thick. Stir in nuts. Pour batter into loaf pan and bake for one hour. They both look delicious! I’ve wanted to try an olive oil cake for a while, so I may make this one first – looks like it would be great for brunch. Let me know if you make them. I do think the lemon olive oil cake would be great for brunch.